When in 1920 a German delegation traveled to Moscow, it had to take the steamer to Tallinn, Estonia and from there the train. 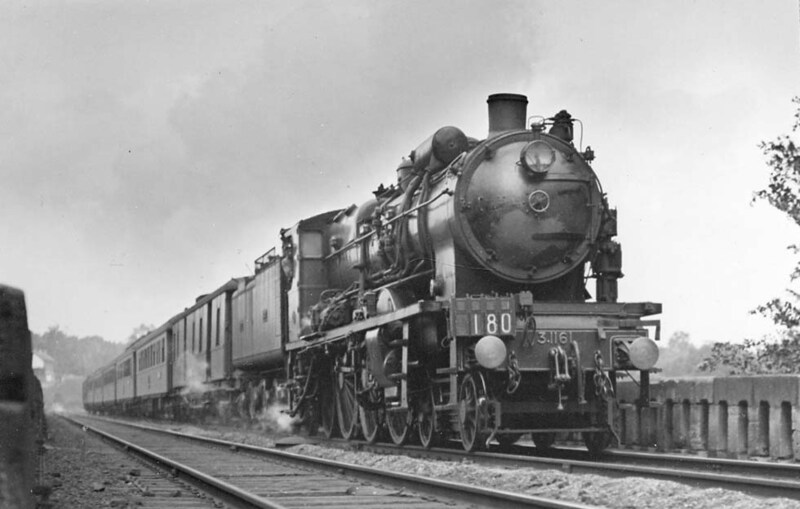 In 1921 the D11 started Paris -Warsaw and Riga services. 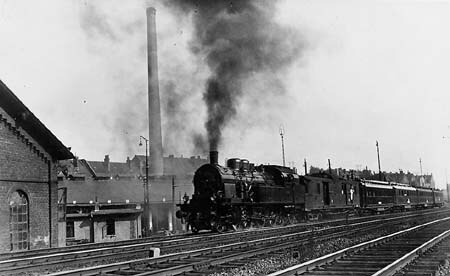 There was not yet a de-Luxe Nord-Express, but Germany introduced in 1922 its “Luxuszug “Berlin-London-Express. The Nord-Express re-appeared in 1926 as a CIWL de-Luxe to Warsaw (east of Berlin running almost empty) with an S, later LX16 type CIWL sleeper to Riga. That “Nordroute” (the Northern route) should get the de-Luxe for Moscow, but it didn’t come. The modest D23 to Negoreloye, westbound from Stolpce, provided the shortest link to Russia via Poland! 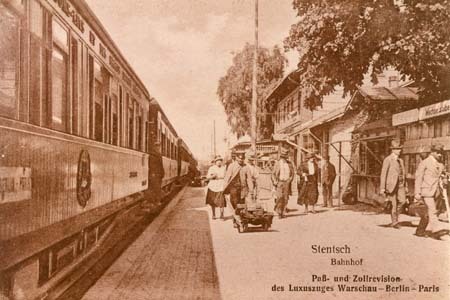 1 Salonspeisewagen (dining car from the Imperial train). 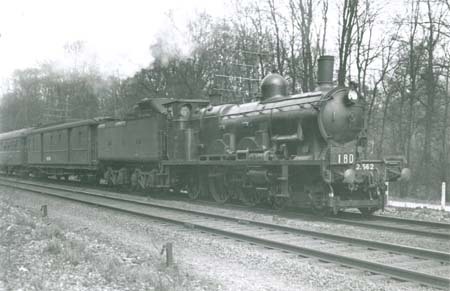 Traction: Hannover - Bentschen DR series 78 (4-6-4) tank, ex-Prussian). Traction in Germany 17.10 (4-6-0, ex-Prussian S101, West of Berlin 01 (4-6-2), in Poland Pd5 (4-4-0, ex-Prussian S6) and Pk (4-6-0, ex-Prussian S10). Via Eydtkuhnen - Virbalis, with the CIWL sleeper Paris - Riga from Nord-Express. Traction through the Polish "Korridor" generally Pk2 (ex-Prussian S10), Pu29 (4-8-2) and Pt31 (2-8-2) by PKP. 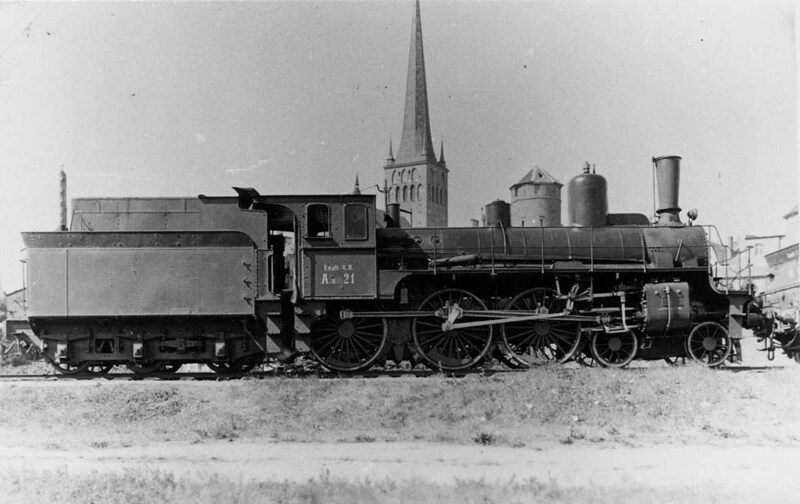 In Lithuania in 1939 traction Virbalis - Joniskis by Gp Pacifics from Skoda, in Latvia seen with an An (4-4-0 ex-Prussian). Connection Riga - Far East by Kurier 2/1 c. 1925-1931. Via Tilsit - Pagegiai, in 1937 noted (by L. Rutgers van Rozenburg) with a CIWL sleeper and two DR cars Berlin - Daugavpils, the DR cars however being replaced at Pagegiai by two black cars, one ex-Prussian, one ex-Russian. At Radviliskis the CIWL sleeper was detached for Daugavpils and cars from Kaunas (Kovno) were added. On September 1, 1939, WWII stopped the trains from Germany. 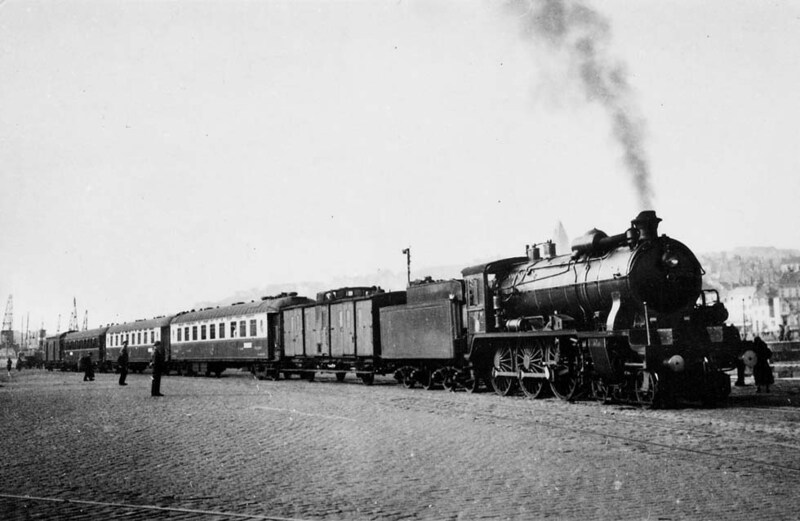 On Nov. 23 (according to "Reichsbahn"), D27 Berlin - Eydkau started, including a Mitropa sleeper, with connection to the Baltics and Moscow. 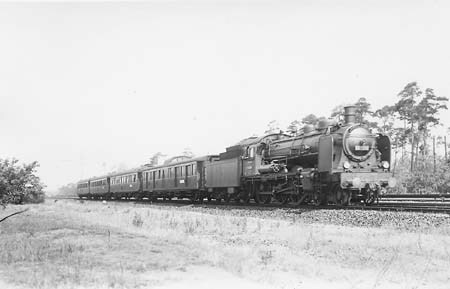 Traction: seen with Pkp (0-8-0, ex-Russian O) possibly only shunting and traction by Skb (4-6-0), ex-Russian B). According to DR timetable June 27, 1940 (no formation! ): ABC Berlin - Eydtkau, ABC Berlin - Gudogaj, ABC Berlin - Riga, WL Mitropa Berlin -Eydtkau, WLAB CIWL Berlin - Riga, WLAB CIWL Berlin -Daugavpils, Post Berlin - Eydkau. Colors: DR dark green, Mitropa dark red, CIWL dark blue. At Gudogaj (Gudagojis) connection with Kurier 2. In August 1940 the Soviets annected the Baltics and introduced broad gauge for deportation trains to Siberia (men, women and children separated). D7 Berlin - Eydkau got a connection Virbalis - Moscow. From Oct. 21, 1940 (according to H.W. Scharf) did run D23 with "Sperrwagen" via the "Ostbahn" to Malkinia with connection to Moscow. 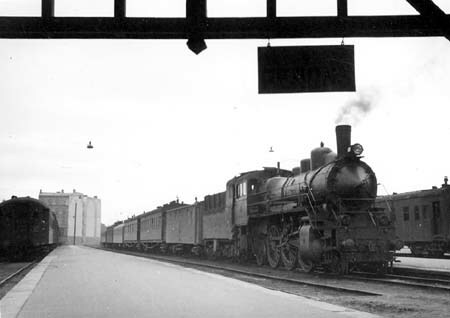 On June 22, 1941, Hitler started the war against the Soviet Union, in 1942 the D23 had a sleeper Paris - Aachen and D123 included a Mitropa sleeper Berlin - Warsaw. Still in 1943 the timetable showed a DmW23 Berlin - Wolkowysk and a connecting local to Minsk. The military expresses SF, consisting of coaches, initially did run even to Kharkov, but from winter 1941 trains were changed on the Russian border. 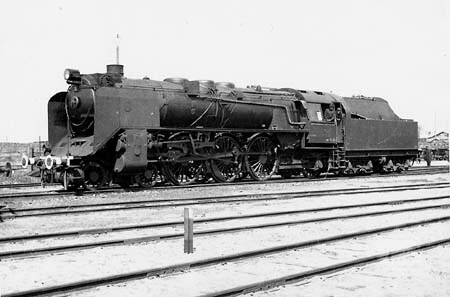 On the re-gauged tracks mainly ex-Prussian locomotives were used and then the series 52 "Kriegslokomotive", a 2-10-0. The heavier 42 did not come to Russia and the "3. Kriegslokomotive", probably a 2-10-2 with booster, was not built. 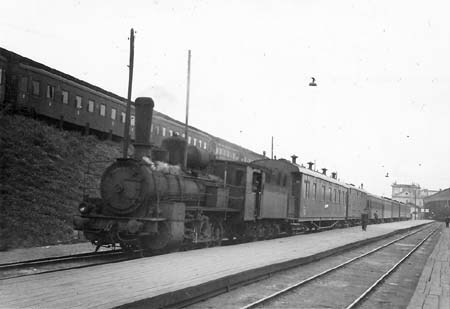 Standard and broad gauge, wooden WL and WR, also Prussian types, WL 3001 - 3009 from 1923 with 4-berth compartments, probably Riga - Zilupe (connection to Moscow), later further "type 3" cars, also wooden ones.